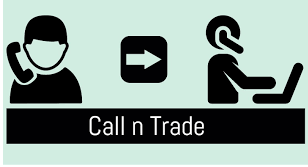 Call n Trade - Retail Broking - BOB Capital Markets Ltd.
You can trade through us on phone by calling our designated representatives in the corporate office where you are registered as a client. This facility is very useful to customers who do not have reliable internet connectivity but do trade regularly in the stock markets and do not want to miss any opportunity. We have quick and efficient Dealing desk executives who will answer your calls and assist you in your trade related queries.